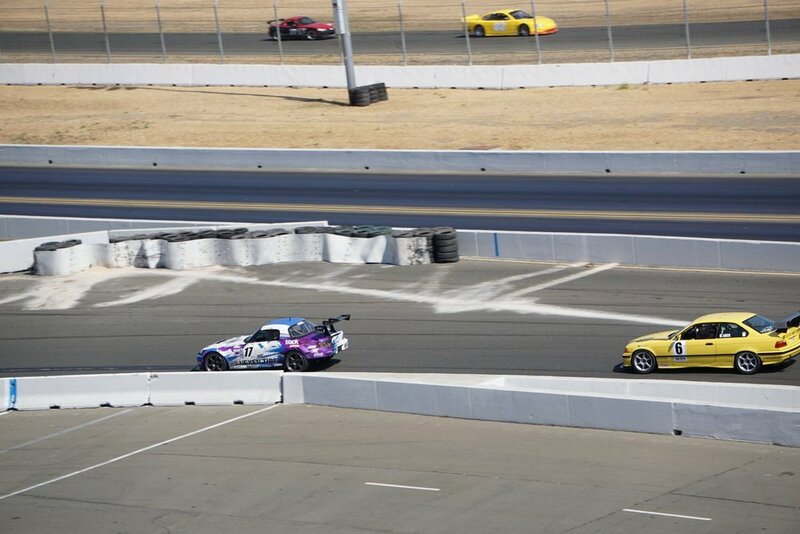 Sonoma seems to be the NASA Northern California Region's favorite race track this year. 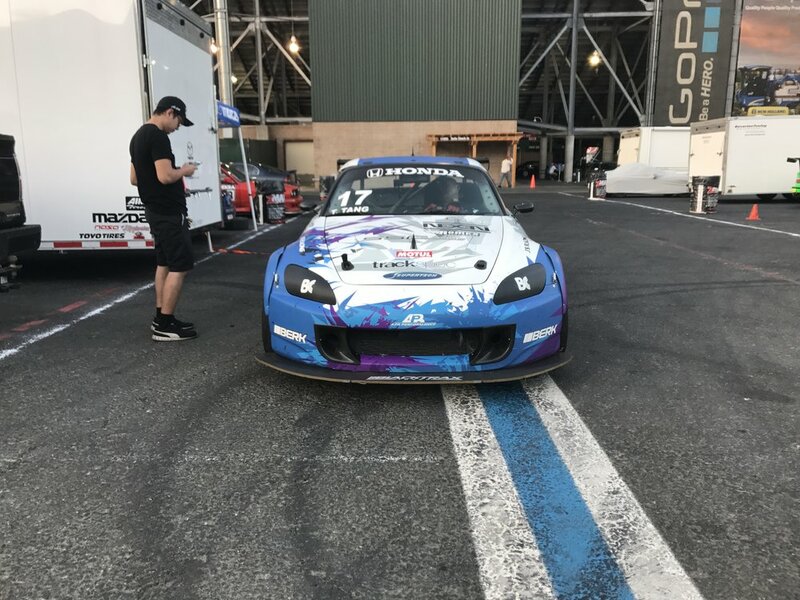 Once again, we packed our bags on Friday September 8th and headed up to wine country for Round 6 of the 2017 NASA Super Touring Series. 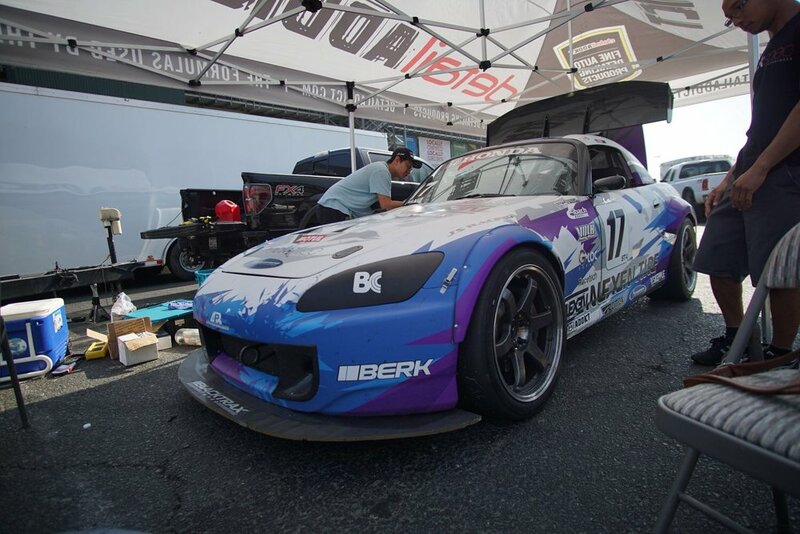 "Irene" had received her usual post-event treatment at Trackspec after two days of hard racing at Thunderhill last month. This included a thorough inspection from head to toe, fresh GLOC brake pads (the fronts were getting low), an alignment, fresh Motul fluids, and a new differential cooler pump switch (we discovered that the automatic temperature switch was no longer working and opted for a more reliable route). Saturday morning arrived, and after a solid 8:05am practice session we removed our one-off Trackspec Autosports intake in order to wrap the arm in gold heat defense tape. We wanted to see if the IAT (intake air temperature) would actually go down later in the day during qualifying at 10:05am. Qualifying went really well. 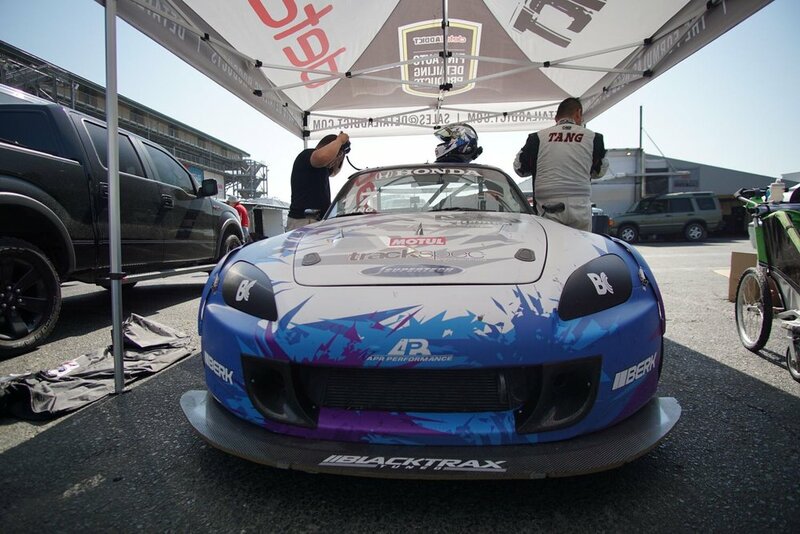 I ran a new personal best time of 1:51.3 which was good enough for P2 (front row) on the grid for the 4:10pm race. Oh, and as for the IAT we didn't really notice much of a change. Oh, well. 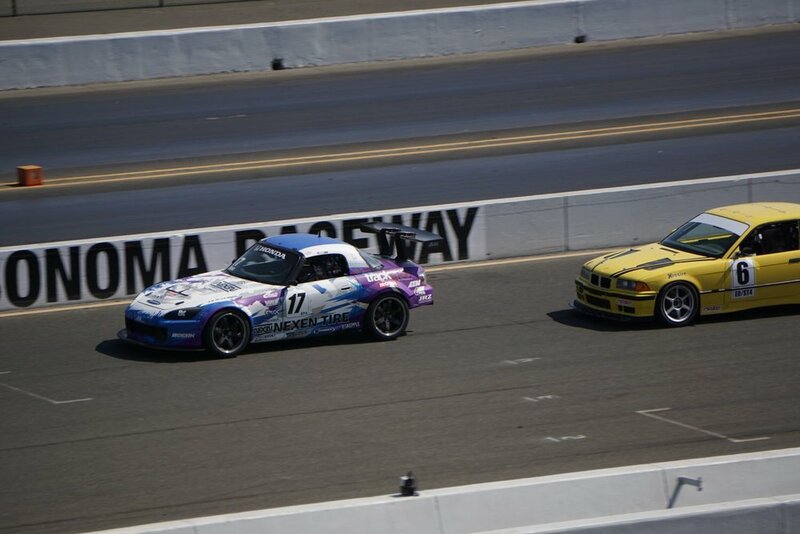 I had a strong race start, staying close to Chris Lock who had qualified P1 on pole up until Lap 2. I made a mistake in Turn 7 and just narrowly missed the wall (phew). 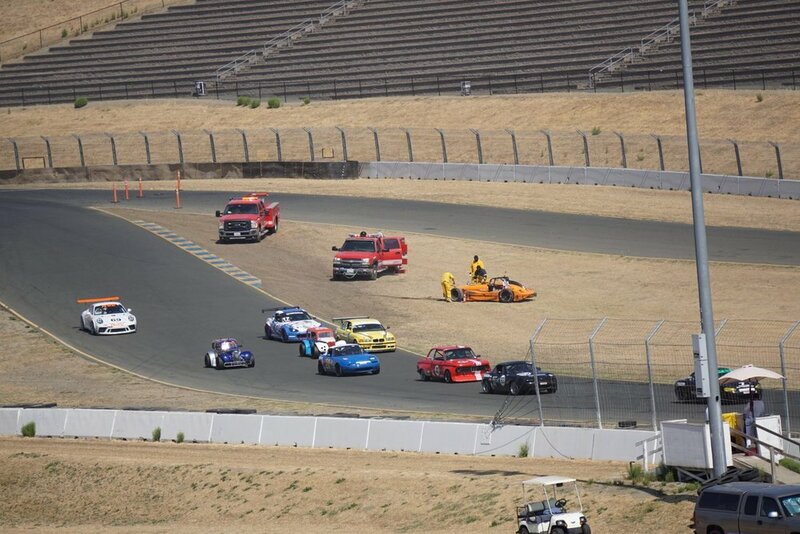 After coming back on track, the entire ST4 field had already passed me; along with cars from other classes too. 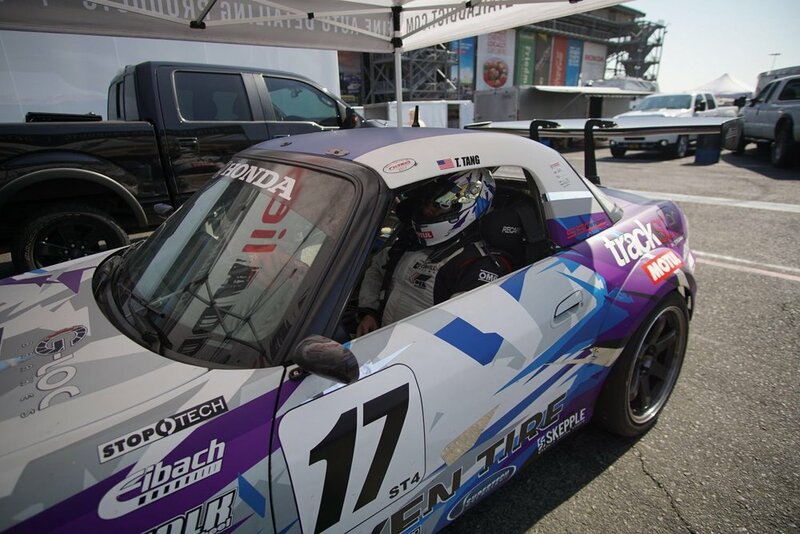 I drove my best, despite my car not feeling right to still finish P5 in class. We would later discover I had knocked the alignment off by a quite a lot (total 1/4" toe in up front), which explained why the car felt so loose and unstable under braking and in high speed corners. Without the ability to do a proper realignment, Drew and Son (who had rushed down to help from Thunderhill) just did their best after dinner on Saturday with toe plates and a camber gauge (thanks to Team El Dorado and Team Valkyrie for lending us your tools) on the ground. Sunday morning arrived, and we were nervously optimistic that the car was in good shape. We were glad to be joined by Jon, Victoria, and Andrew (Vic's brother) who had all come down from Thunderhill to come support and watch the race. I went out in practice at 8:25am and I was happy to discover that even though it was far from perfect, it was way better than yesterday afternoon. I gradually built my confidence back up during the first session, and after a short break I qualified at 9:25am in P3 for the race. During the race at 11:05am I drove my absolute heart out, and finished P2 behind Chris Lock with a 0.8 sec margin (it was a hard-fought battle from green flag to the checker). Martin finished 11.2 sec behind me to round out the podium. Thank you to my amazing friends and teammates for making Sunday's awesome comeback possible. Time to regroup before the 2017 NASA Pro Racing Western Coast Championships next month at Thunderhill Raceway. We have a lot of careful planning and preparation to do before then, and we are excited for three full days of racing! My favorite photo from the weekend. Missing Victoria who was behind the camera. Irene back at home, getting ready for championships.